As the name implies this special safari is a great introduction to some of the best locations, wildlife and scenery Southern Africa has to offer. 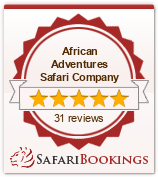 You will begin your adventure in Johannesburg before departing the next day for the world famous Kruger National Park. This is not a quick glimpse of Kruger nor is this safari conducted in private game reserves adjacent to Kruger. For four nights you will not leave Kruger and you will experience the best it has to offer. You will be accommodated in bungalows in National Parks of South Africa Camps for the first two nights and then your experience moves up a notch as we stay at the beautiful Imbali Safari Lodge. Imbali is located in a private concession inside Kruger and this ensures that you will have exclusive use of this vast area. All of the Big Five are found in Kruger and even some of the more rare animals like Cape Hunting Dogs and Sable Antelope. We will depart Kruger for the highlands of The Northern Drakensburg Mountains and the unique scenery and climate this area provides. We will travel via the Blyde River Canyon spending the night in the picture postcard ‘Westlodge’ in Graskop. The next day we travel further into the mountains and high country to the quaint highland town of Dullstroom. It is here you find a huge array of activities to keep you busy as we spend two nights exploring the town and its attractions. From Dullstroom we will return to Johannesburg for the night before flying out the next day for Zimbabwe and the capital of The Matabele tribe, Bulawayo. We do not stay in this fascinating city but we head for the World Heritage listed Matobo Hills. It is here you will see what made this country so special to the man after whom this nation was named for its first 90 years, Cecil Rhodes. We will visit his spectacular grave site and look at the cultural and historical locations scattered through these unique mountains. We will also have the rare opportunity to track, both by open vehicle and on foot, the now endangered black and white rhino with one of Africa’s experts, Ian Harmer. Our wildlife encounters continue when we travel north to the vastness of Hwange National Park. This park is one of the last great wilderness areas left in Africa and at 14,500 klm in size it is the home to a vast array of wildlife. 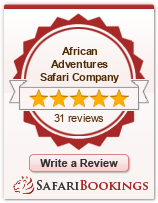 We will be staying at the incredible Bomani Tented Safari Camp for three nights. What makes this experience all the more exciting is the fact that we will be transferred deep into the bush by “The Elephant Express”. This special ‘miniature’ train allows us to experience the bush and its wildlife in a completely unique way as we travel for two hours in comfort and style. After a lot of fun in Victoria Falls it is again time to cross a border and to re-visit the wildlife of Africa. We will enter the vast open plains of Botswana and the Chobe River region. This will be our last chance to encounter the ‘big cats’ of Africa and our chances are very good. At this time of year the Chobe has one of the highest concentrations of wildlife in Africa all in a relatively small area and as a result the lion and leopard follow. Anything is possible in The Chobe area but of course we are dealing with wild animals so nothing is guaranteed. After twenty days of exploration and exploits it will be time to say goodbye to Africa and you will fly out of Kasane in Botswana.